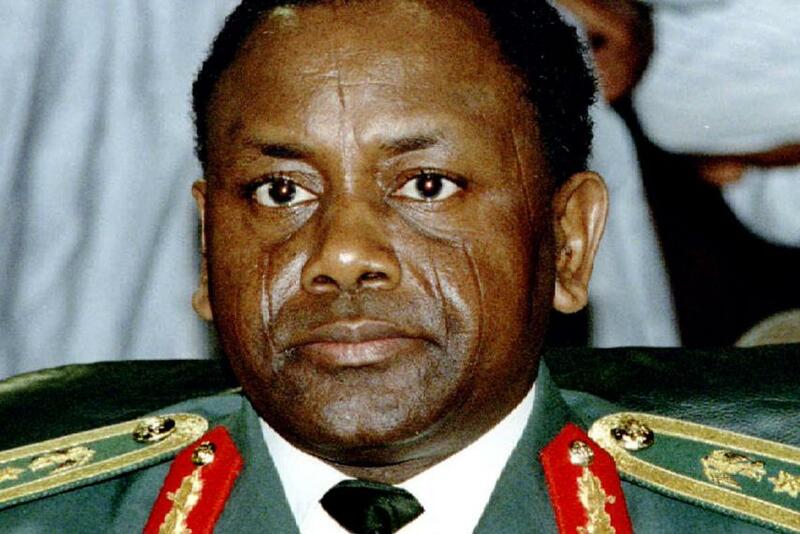 Attorney General of Federation and Minister of Justice, Mr. Abubakar Malami, SAN has revealed that negotiation with Switzerland on the return of $321Million recovered from the late Abacha family had been concluded, adding that Nigeria had recently recovered the sum of eighty-five million US dollars from the controversial Malabu Restrained Funds from United Kingdom. Comrade Salihu Othman Isah, Special Adviser, Media and Publicity to the Honourable Attorney General of the Federation and Minister of Justice, said the AGF stated this in his opening remarks at the Pre-Global Forum on Asset Recovery (GFAR) Consultative meeting with the theme: Building an Ending Framework for Asset Recovery in Nigeria on Thursday in Abuja. Malami stressed further that with the conclusion of negotiation, the Memorandum of Understanding will be signed by parties at the Global Forum on Assets Recovery meeting coming up on December 4th – 6th, 2017 in Washington and that the repatriation would follow within weeks as agreed by the parties. He affirmed the need for the international community to ensure the implementation of the measures considered and adopted at the London Anti-Corruption Summit in May, 2016. The AGF also emphasised that Nigeria is more than willing to support the transparent return of stolen assets. He equally urged the international community to improve on procedure for faster return of assets to enable Nigeria meet the sustainable development goals. “It is widely acknowledged that corruption undermines economic development, political stability, rule of law, social development, disrupts social order and destroys public trust in the governance system. It is an established fact that corruption which is linked to organised crime, terrorism and insecurity is one of the reasons for underdevelopment”, he stated. Malami reiterated that resources and funds meant for development of infrastructure in education, health and security sectors, among others had been stolen and laundered in different parts of the world. The Minister further reaffirmed that President Mohammadu Buhari in May, 2015 made a commitment to tackle corruption and equally focussed on the return of stolen assets from various jurisdictions and that Nigeria had set a clear targets towards improving transparency in the management of assets through Treasury Single Account (TSA) and the Bank Verification Number (BVN). He stated also that Nigeria had saved trillion of naira through these processes. Subsequently, under the United Nations Convention Against Corruption implementation mechanism, Nigeria was Peer Reviewed in May, 2017 by Myanmar and Cote D’Ivoire in the first year of the second cycle which covers areas of Preventive Measures And Asset Recovery. Nigeria has also implemented the United Nations Convention Against Corruption requirement through the development of National Strategy on Anti-Corruption and currently reviewing the anti-corruption laws, also the government has signed the Open Government Partnership initiative and completed the National Action Plan for its practical implementation in Nigeria, he said. He added that, he was pleased that the Civil Society Organisations were involved in the negotiation of the Memoranda of Understanding and would also be involved in monitoring the use of the funds. Earlier in his welcome address, Rev. David Ugolor Director, African Network for Environment and Economic Justice (ANEEJ) noted that Global Forum on Asset Recovery established as an outcome of the London 2016 Anti- Corruption Summit hosted by former British Prime Minister, David Cameron would build upon the experiences of the Arab Forum on Asset Recovery (AFAR) and the Ukraine Forum on Asset Recovery (UFAR). According to him, “the core objective of GFAR is to convene practitioner experts to provide an effective opportunity for countries to cooperate on asset recovery cases. had direct implication for anti-corruption in Nigeria. “We are eager to see how these commitments would translate to an expeditious return to Nigeria, assets belonging to Nigeria stashed away in the UK, US and other countries.”, the ANEEJ boss added. Ugolor identified the need for Nigeria to evolve a new national asset recovery design to stem the illicit financial transactions still going on in our national dealings and seek a way to possibly overhaul the existing anti-corruption agencies to grapple with the antics of fraudsters. He said, “without any shade of doubt, it is obvious that we need new national asset recovery architecture to deal with the multiple challenges facing our country today. “The anti-corruption agencies will need to explore more creative strategies to respond to the new large scale indices of corruption in both the public and private sectors.” We need to strengthen our legal and institutional anti-corruption systems through the introduction of innovative legislative agenda. Giving their remarks, the British Ambassador to Nigeria, Paul Arkwright, Swiss Ambassador, Eric Mayoraz and Michael H. Bonner, Senior Police Advisor who represented the US Ambassador in their remarks, commended the Nigerian government for collaborating with Civil Society Organizations to fight corruption and in tackling illicit financial flows. They pledged the support and cooperation of their home countries in repatriating stolen funds stashed away in banks at their countries back to Nigeria in due course. On his part, Dr. Kole Shettima, Director MacArthur Foundation in his remarks, also praised the government for getting interest groups on board for the asset recovery drive, but wished that other parties like the Nigerian movie industry known as Nollywood as well as the media among others are involved to be all encompassing. Shettima expressed that he do not want a situation where Anti-Corruption war would be seen as President Buhari or government fight, but to be seen as the fight for all Nigerians.